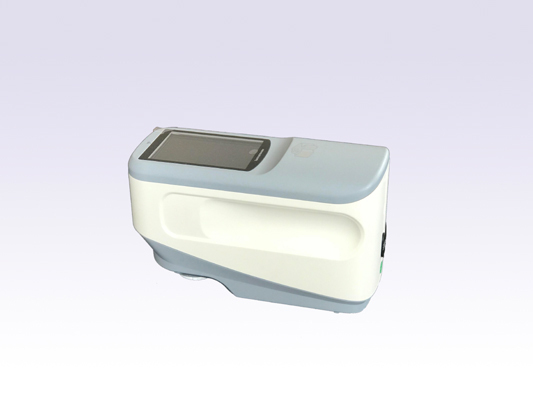 XD-30 Series grating spectrophotometer adopts bluetooth and USB dual modes for wider use, and with SCI & SCE measurement data, it is compatible with many famous brands. 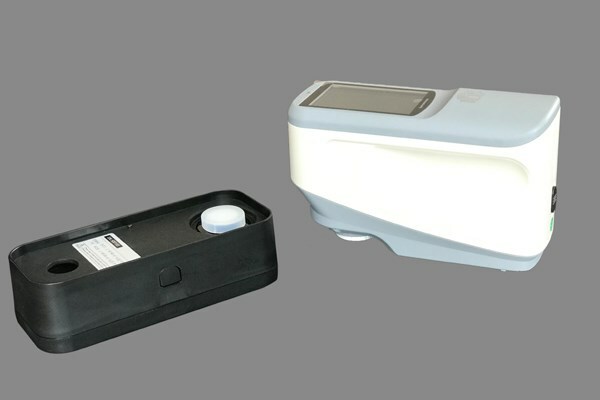 XD-30 Series grating spectrophotometer adopts bluetooth and USB dual modes for wider use, and with SCI & SCE measurement data, it is compatible with many famous brands. 8mm, 4mm or customized aperture is optional. 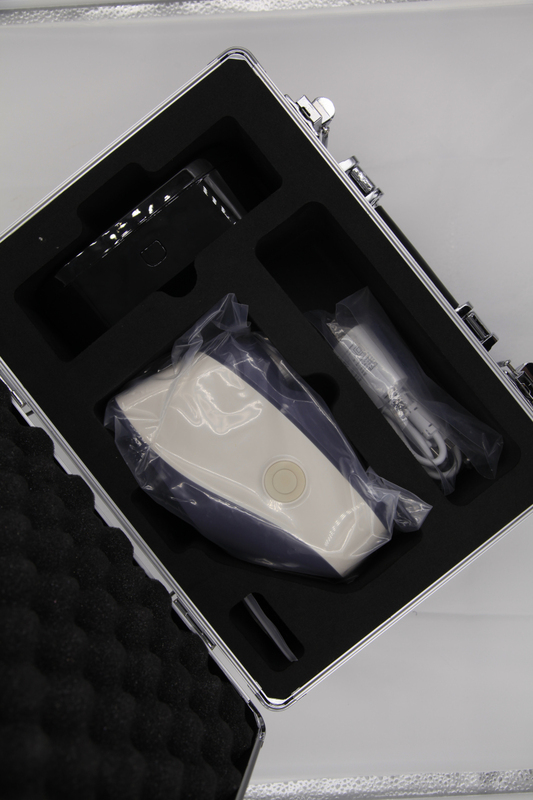 Speical UV light makes XD-3060 easy to measure sample with UV and high accuracy and extended function PC software let it be good partner for colorist and color quality contral management. 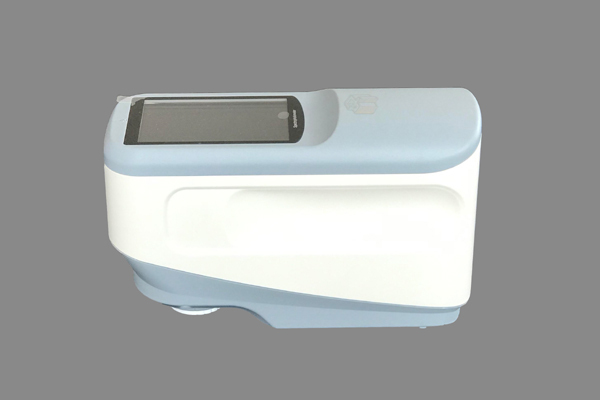 Comply with CIE No.15，GB/T 3978,GB 2893,GB/T 18833,ISO7724/1,ASTM E1164,DIN5033 Teil7, XD-3010 color spectrophotometer features only 8mm single aperture. 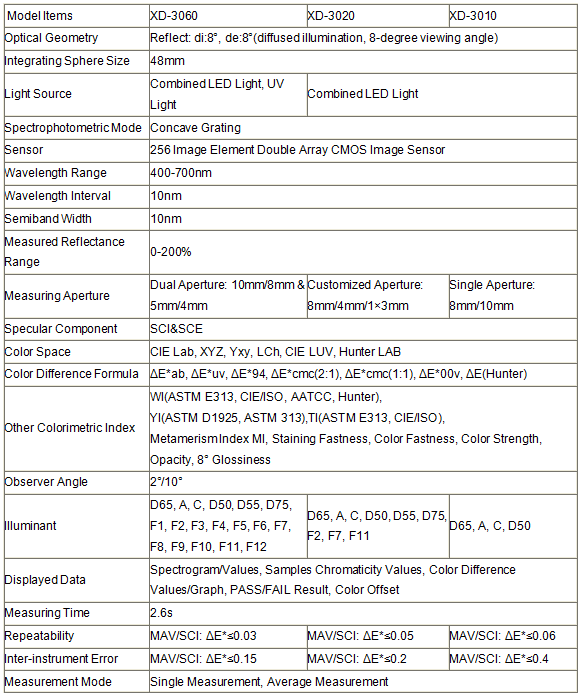 Both SCI and SCE mode makes it widely use in many applications. 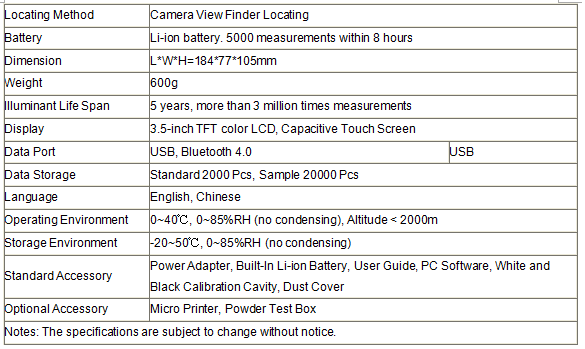 It has high accuracy 0.06 based on white calibration plate measured 30 times at 5 seconds intervals after white calibration was performed. 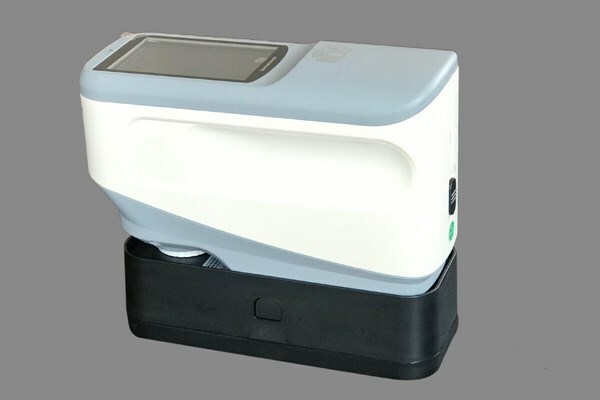 Shanghai Modern handheld spectrophotometer can easily achieve color transferring , and be used as a precision instrument for color matching sXD-tem. It's widely used in plastics, electronics, painting, ink, textile and garment, printing and dyeing, printing paper, automotive, medical, cosmetics and food industries, scientific research institutes, schools and laboratories.